I always see ELF products at my local Dollarama but I never have bought any. 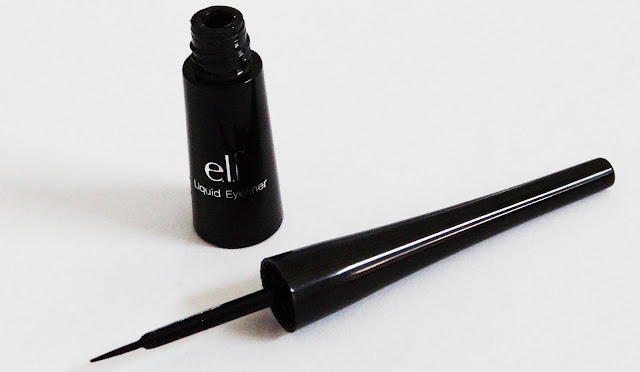 I wanted to try out a new liquid liner, so when I saw this for $1.50 CDN I was intrigued to try it out in hopes that it would be good since it's very affordable. I've tried the ELF blushes and it's a love and hate relationship with them. 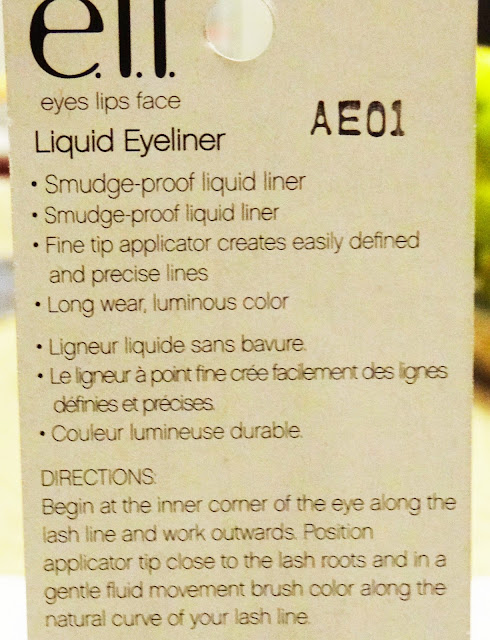 This eye liner has fine tip so it's easy to get a defined line and to do winged eye liner looks. I've read reviews about it being watery, but I don't think it's too watery. It gives a smooth line and it's very black which I really love. The brush is not flimsy, when I first got into makeup I remember buying an eyeliner with a thin brush like this and I found it a struggle to put on eyeliner because I wasn't that good. 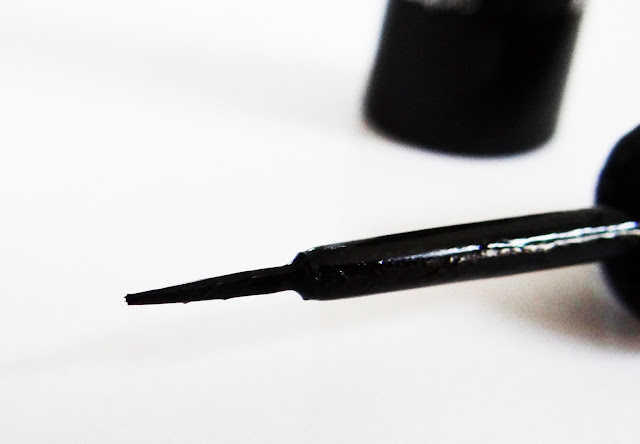 Lately I've been using the Maybelline Master Precise Ink Pen Eyeliner and I've found it to have a flimsy brush that doesn't give much of a smooth line. I find myself not being able to get a thin line. I've been yearning for a good eyeliner that will give me a thin line. The ELF eyeliner does take a little longer to dry but I usually apply it after my eyeshadow so I don't mind because I move on to my cheeks or lips after I'm done so I'm not stuck waiting for this to dry. I love this eyeliner and for $1.50 it's a great eyeliner. I will be definitely be repurchasing this!